Uh-oh, here comes the X-Band Radar bogeyman! The government has been collecting private data on citizens for years. Nothing new there. How about this for a novel new concept; every U.S. citizen is a potential terrorist, coming from an alphabet soup agency near you. 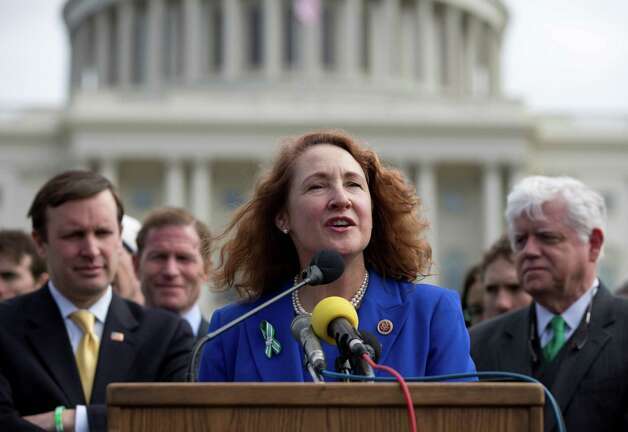 Esty said it would have been difficult for Republican state lawmakers, many of whom knew victims of the attack in Newtown, to vote against measures such as the high-capacity magazine ban. Earlier this week, National Rifle Association vice president Wayne LaPierre that there was no evidence smaller magazines would have resulted in fewer deaths at Sandy Hook Elementary School, where 20 children and six educators were killed. “People that know guns — you can change magazine clips in a second,” LaPierre told Fox News. President Obama, who will travel to Connecticut on Monday to continue to push for gun control legislation, told donors on Thursday in California that it's "going to be tougher" to push through a gun control measure than immigration reform in coming months. Obama made the comments a day after delivering a speech in Colorado — just miles from a movie theater where a lone gunmen killed 12 people and injured dozens of others last July — where he said gun reform is necessary to stop an epidemic of mass shootings. "If these reforms keep one person from murdering dozens of innocent children or worshipers or movie-goers in the span of minutes, isn't it worth fighting for?"